A facial for sensitive and delicate skin which uniquely uses the power of natural plant oils to soothe, repair and replenish: I’m delighted to share the launch of our exclusive Votary Super Seed Nutrient facial, available only at Harrods Hair and Beauty. Combining signature Votary Super Seed routines and new, bespoke products, it’s perfect for skin that is stressed, redness prone, dry or dehydrated. Formulated to calm, nourish and restore glow, it harnesses the natural power of Votary’s 22 Super Seed oils to restore health and suppleness to your skin and to repair and protect. Unlike cream and lotion based facials which can congest and overwhelm sensitive skin, plant oil-based Votary Super Seed Nutrient facial gives delicate skin the goodness it needs. A blissful Votary total experience, it’s a gorgeous, multi-sensory beauty treatment. It begins with a gentle misting of the room with our bespoke Pillow Spray. The soporific mix of lavender and chamomile is instantly relaxing. You are encouraged to breathe mindfully as the therapist softly presses your shoulders, arms and legs to gently ground you on the sumptuous, enveloping bed. Your feet are flexed and massaged and wrapped in a hot towel to soothe and cosset you. The skin is then given a first cleanse with our Super Seed Cleansing Oil to remove pollution and all traces of make-up. The cleansing oil is massaged in with gentle sweeping motions from shoulder to neck and throat, lifting and smoothing along the chin with small, feathery movements. The therapist returns each time to the shoulders, sweeping and softening the back of the neck area, and focusing on lymph drainage and muscle tightness along the jaw. This first cleanse focuses on relaxing the whole upper body, radiating inwards to the cheeks, lips, eye sockets and brow bone. Circling the eyes with sweeping motions and completing the movement with light pressure on the temples relieves tension and relaxes and soothes. A hot towel is then placed on your chest and folded upwards onto the face to massage away the first cleanse. The warmth helps to soften and open your pores, and encourages them to release toxins and to absorb the nutrients of the Super Seed Cleansing Oil. The second cleanse then repeats the first, completely covering the neck, chest and face area and ensuring that your skin is scrupulously clean. The therapist works more intensely on the eye and jaw area in this cleanse, using the palms of her hands to completely relax your face and to work deep into the muscles of the jaw socket and the delicate skin around the mouth. Afterwards, you are wrapped again in the warm, soft towel so that you feel cocooned, cossetted and safe. After the Super Seed Cleansing Oil has been wiped away, a three minute Light Lactic Peel is applied to exfoliate and freshen. Lactic acid is the best exfoliator for sensitive skin because it works more gently than other AHA’s (alpha hydroxy acids) to stimulate cell turnover and improve skin texture. The smooth, clear gel is applied in long sweeping motions with a facial brush. It works beautifully to coax away any dry or flaky skin with a much gentler action than products which contain granules. It refreshes, brightens and minimises fine lines. While the lactic acid works its magic on your skin, there is more massage; a series of mindful breaths and smoothing, sweeping motions along the chest, arms and trapezius to stretch and soften the muscles in the shoulders and neck. Gentle, hydrating natural rosewater is then used to remove the Light Lactic Peel, and the skin is now prepped for the signature Rose Quartz facial massage. Intense Eye Oil is gently patted in the eye socket area, and iced rose quartz wands are used to gently soothe and smooth this delicate area. Larger iced rose quartz petals are used to lift and massage the skin along the cheekbones and jawline, and are used to work deep into the muscles of the throat and neck, rolling to lift and define. The quartz petal shapes complement the structure of the face, so they are able to work into the deepest structural layers of the skin. The cold quartz works therapeutically after the warmth of the double cleanse, as the temperature contrast encourages lymph drainage, boosts circulation and banishes any puffiness. The skin is now calm and smooth and ready to be nourished. 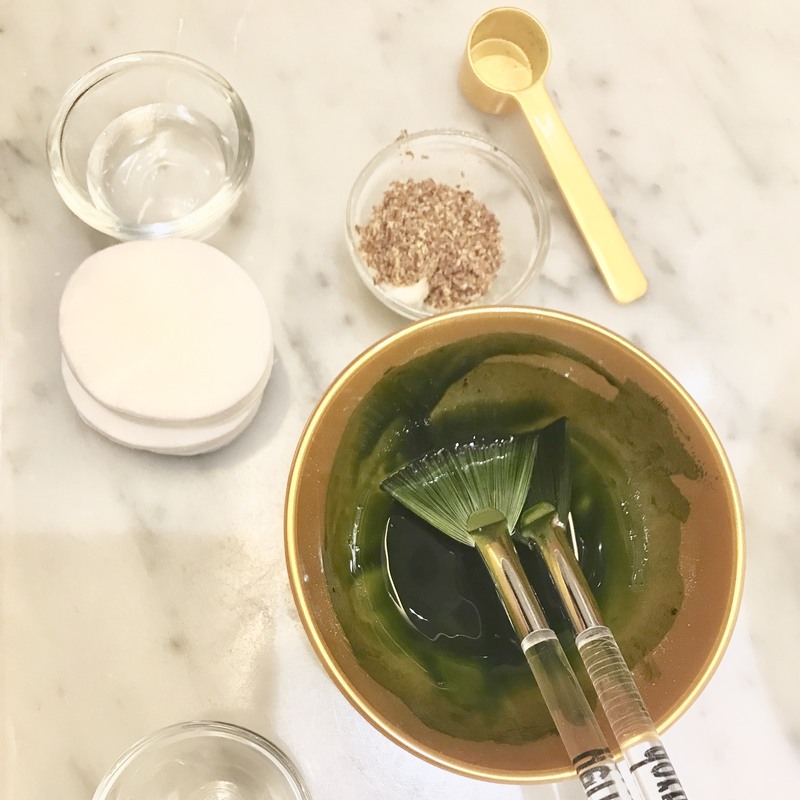 Votary’s bespoke blend of Super Seed Facial Oil is a key ingredient in our antioxidant-rich Matcha X mask which is painted onto the face and neck with a soft, wide brush. It feeds the skin with natural goodness, restoring dewy softness and glow. While the Matcha X mask infuses all its nourishment, the feet and scalp are treated. The warm wrap is removed from the feet, and they are washed with a Ground Seed and Avocado Butter scrub. Linseed grains lift away hard, dry skin, and avocado butter imparts a rich, smooth softness. Just when you thought you couldn’t feel any more cossetted, the scalp is gently massaged. The challenge is to stay awake. 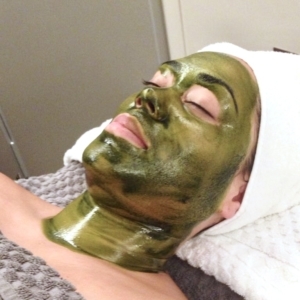 The Matcha mask is then removed with natural, soothing rosewater, and the final hydrating stage of the facial begins. First, Lemon and Neroli Toning Serum is pressed gently into the skin. Hyaluronic acid plumps the skin and boosts its ability to retain moisture. Lemon extract provides a shot of Vitamin C for added glow and neroli flower water freshens and renews. Then, Super Seed Facial Oil is massaged into all the contours of the face to deeply nourish and protect. Sensitive and fragile skin is gently re-set and restored. Finally, Super Seed Nutrient Cream is layered on top, working like a barrier to protect and lock-in all the natural goodness and hydration, and to give your skin a beautiful, smooth, matte finish. Unlike many facials where your skin can feel overly-loaded and tacky to touch afterwards, the Votary Super Seed Nutrient facial leaves your skin feeling deeply nourished and restored but also light and fresh. It’s ready for you to simply go and glow, or it’s perfectly primed to be prepped for make-up. The final word has to go to Esme, one of Harrods fantastic estheticians and an experienced Votarist. She observes that after a Votary Super seed Nutrient facial, clients look angelic, and radiate smooth, calm, glowing loveliness. It’s the facial sensitive, delicate skin has been waiting for. Read the Get the Gloss review of the Votary luxurious facial here. Read the Tatler review of the Votary luxurious facial here. 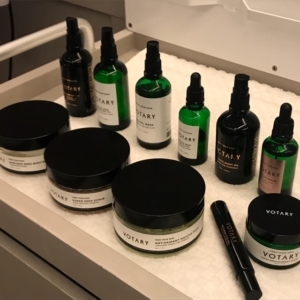 Votary luxurious facial at Harrods Hair and Beauty on the fifth floor costs £120 for fifty minutes and can be booked either by calling 0207 893 8333 or here.